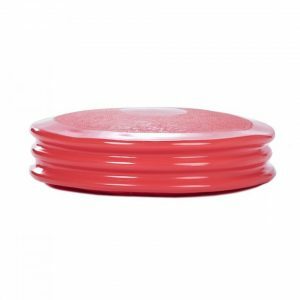 The Body Sport Balance Disc is an inflatable balance disc, similar in movement and shape to a fitness ball when used on any seat. 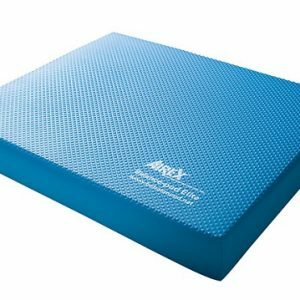 Can be used as a dynamic cushion to activate major muscle groups, or as a standing disc for balance training and lower extremity strengthening. 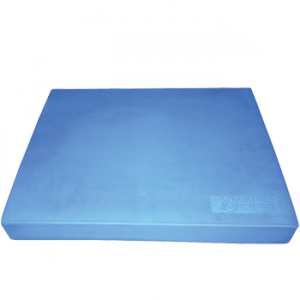 The Body Sport Balance Disc is an extremely versatile balance training tool that can be used in a wide variety of settings to address balance and joint stabilization. 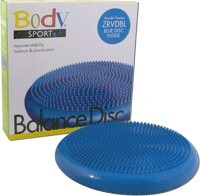 The balance disc adds aerobics to your balance training, The balance disc enhances balance and posture. 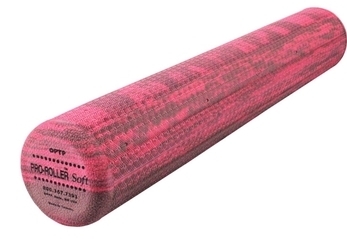 Highly versatile – use standing, sitting, kneeling, lying down or in tandem with exercise equipment such as balls, resistance cables or two at a time. On the Balance Disc you can stand, lunge or squat your way to improved balance, coordination, and proprioception. The Balance Disc makes a great strengthening tool!